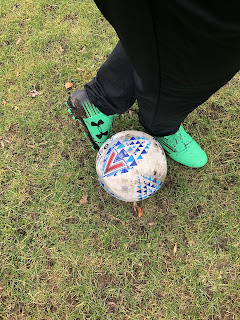 It has been quite a while since I got to wear a pair of football boots. So I was on count down to been able to lace up these and get the ball back at my feet. I am 24 now and hadn't been able to play football or have a kick about since I was 21 which is far too long in my eyes as I had played since I was really young. 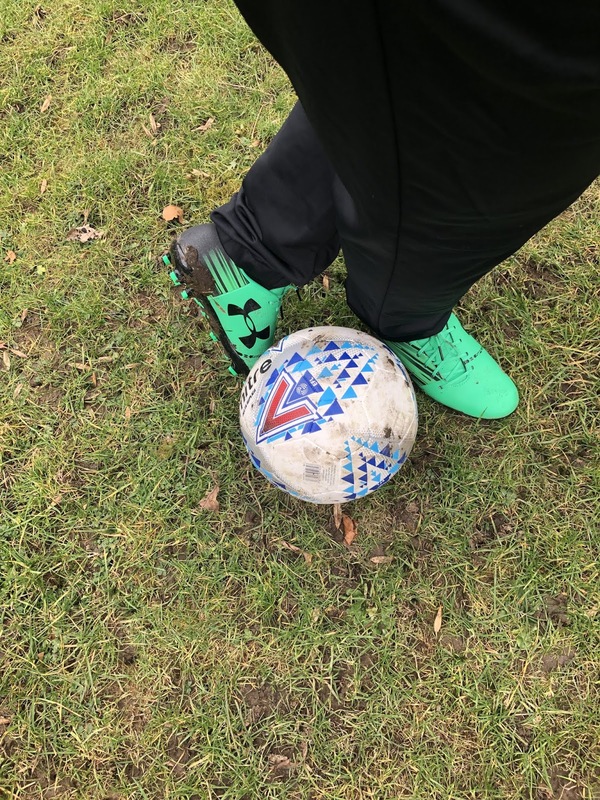 I knew I wanted to get back into playing and training so when we moved close to a field with goals I knew I would be paying it a visit. The big question though was what boots I was going to buy. 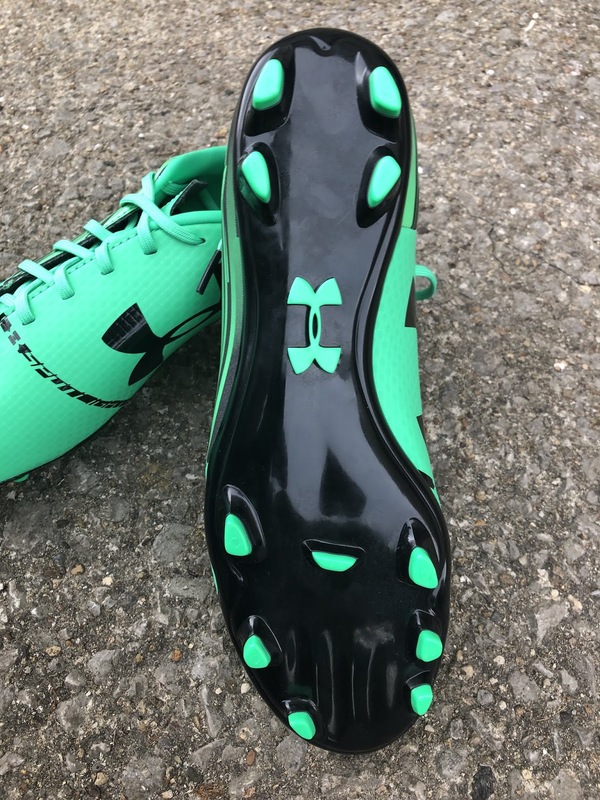 I have always been a Nike player but I have ventured into a few Adidas pairs occasion, one brand I had never tried though was Under Armour. 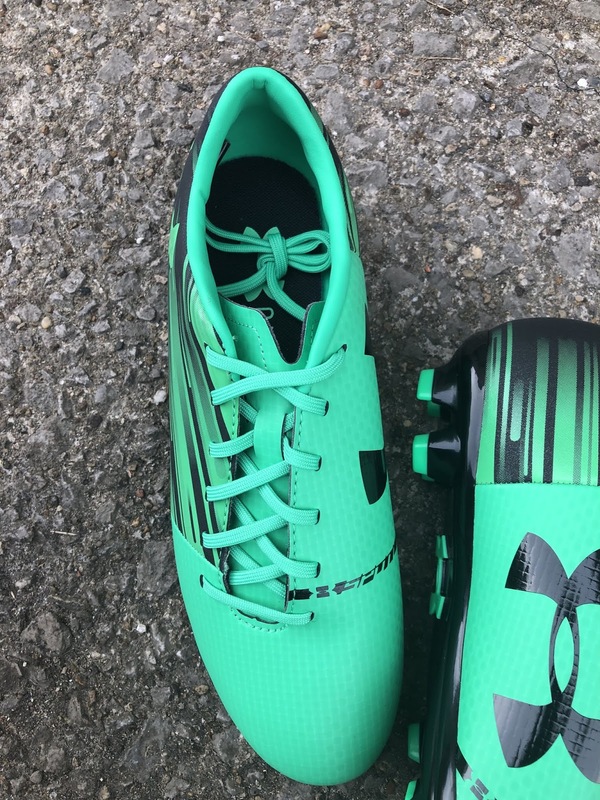 From watching Kelley O'Hara and Rachel Daly play I knew this was a brand I was going to try sooner or later as the colour ways are fantastic in some models and the US ones they did for Kelley were just fantastic. So for my new pair I went for the change and picked some Under Armour boots. The Model I ended up going for was the Spotlight DL Firm Ground SnrC99 boots and honestly I was pleasantly surprised. 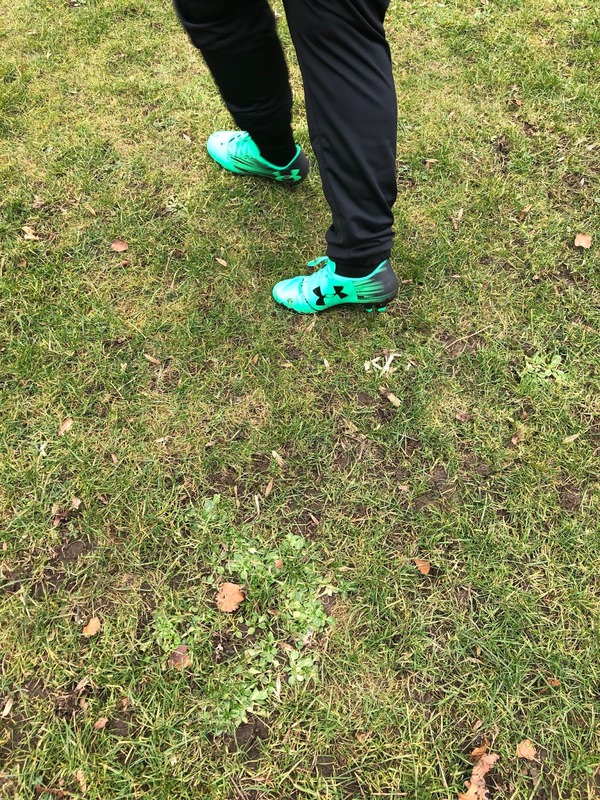 They are a synthetic upper but honestly they are a really nice upper and are yet to crease which is something that drives me mad in some boots. 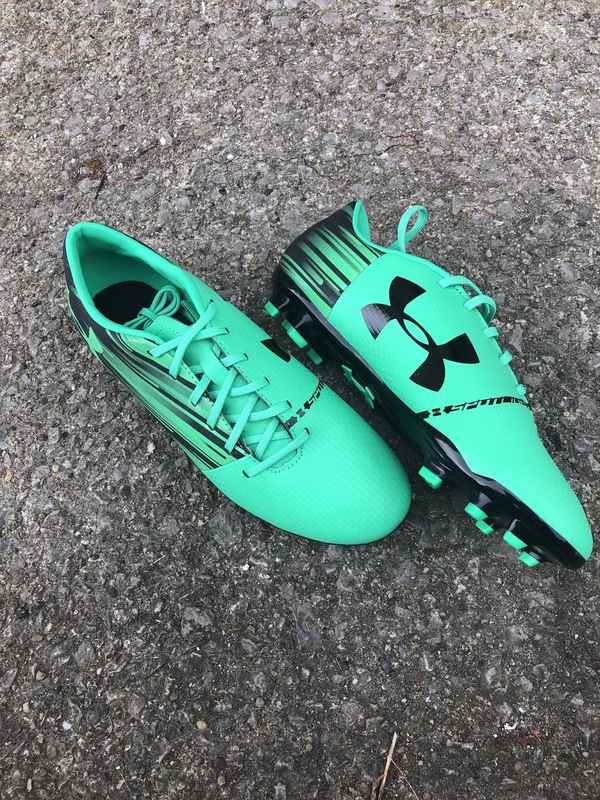 The upper is a matte green however in certain lights they do appear to be shiny just what I like. These boots are definitely a take down of a higher end model which unfortunately I couldn't find any info on as they are an old model. These were definitely a clear out model by the time I bought them as they were just so cheap. You can tell though they are a take down as they have the synthetic upper and came at such a low price. 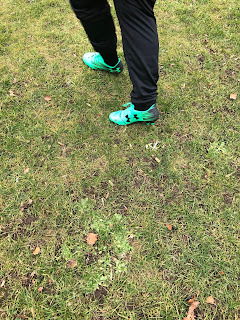 I really wish I could work out the release date for these boots as it would be great to see how the price has varied on these over the time they have been out. I ordered the boots online without seeing them in person so I really wasn't sure what to expect. So when I opened the box I was pleasantly surprised. 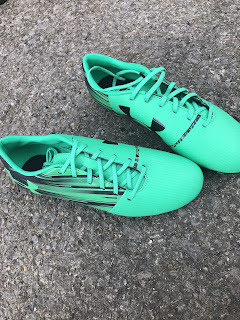 They are definitely a stand out boot with how vibrant they are but that isn't the biggest thing that surprised me I couldn't believe how light the box was, in fact there were 2 pairs of boots in the box and I thought I had been ripped off. The lighter the boot the better and when I picked them up so cheap I thought they would be more weighted as they are a take down. 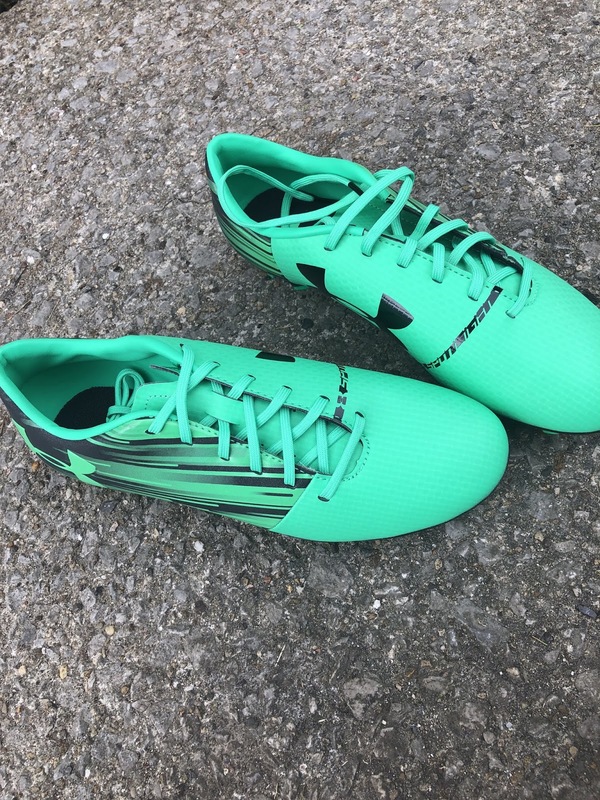 Overall I was pleasantly surprised when I opened the box and couldn't wait to get out and kick a ball in them. 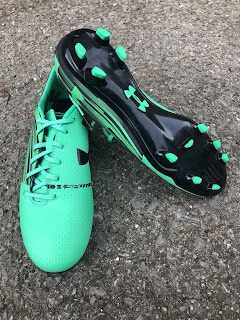 One thing I have never liked is plain and boring boots, I want something that stands out on the pitch so the brighter the colour way the better. When looking for a budget pair of boots the only ones coming up were black so I knew it wasn't going to happen, then I came across these and clicked purchase. I hadn't had green boots in a long time and these just jump straight out on you, there is no way you are going unnoticed in these. the colour way is brilliant in my opinion the green and black compliment each over really well and work as a brilliant combination. I love the green laces too as they blend into the upper nicely and I think changing the laces out may end up ruining the look. One thing I noticed is that the heel is actually a bit of a greyish colour instead of pure black, which fits really well with the rest of the design. The outer has a sort of blurred line effect which actually fades into the heel which works really well. The only issue I think I am going to have with these is keeping them vibrant, they got really muddy throughout testing and I am just hoping that if I keep on top of cleaning them that they wont stain or ruin easily, fingers crossed but I guess only time will tell. Over the years I have played on more pitches best suited for firm ground boots, so I opted for this option again as I know overall I am going to be training more as the warmer weather comes around, but I also would love to get into 5 a side if possible so these could double up for both. I found that these studs were a decent length for the natural grass although it was a little muddy, if the ground was a little firmer these would definitely be perfect as they really aren't very long so don't need to dig in too far to get a good grip, this also means they would be perfect for artificial grass as due to the length they don't need to dig down too far and are going to get you a good grip on even the artificial surface. The stud pattern is also quite evenly distributed so you are getting that grip all over instead of it been focused on one area (stud patterns are something I am going to do some research on for a future post so keep an eye out for that as they are something I really want to learn about). I was quite surprised with how sturdy the sole plate actually felt, I honestly thought with them being so cheap they would be made out of a really flimsy plastic however, that wasn't the case as it is actually a tough plastic, I tried to bend these as far as possible and whilst they are super flexible nothing happened to the sole plate and it went back to how it was instantly which is just what you need, you don't want it cracking mid game and coming apart. 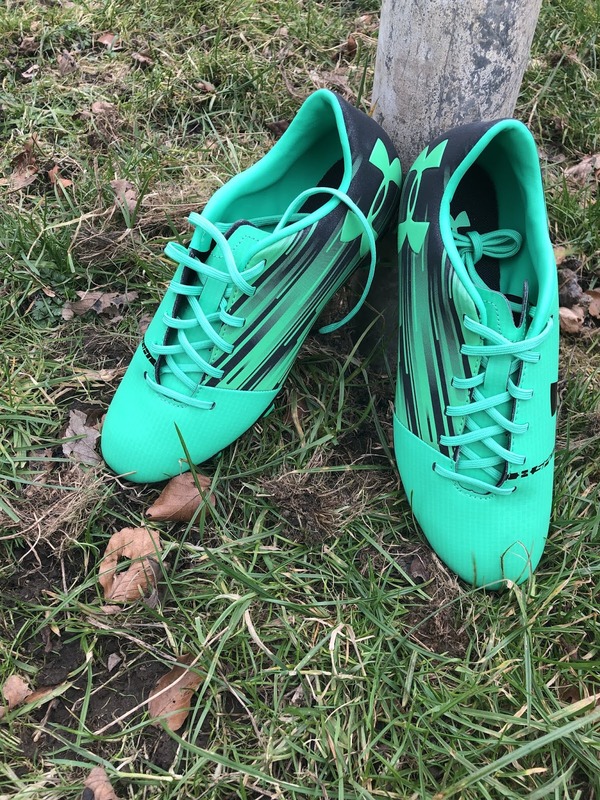 One thing that always annoyed me whilst growing up was trying to get mud off the sole plate due to all the studs and grooves but luckily with these it is overall a smooth soleplate, with a decent distance between each stud and only the logo and a few ridges on it. This meant just one hit to the goal post when we finished and 90% of the mud came off, I just needed to run a small brush over the rest and it was clean. Which is brilliant because I hate cleaning boots it usually takes far too long. 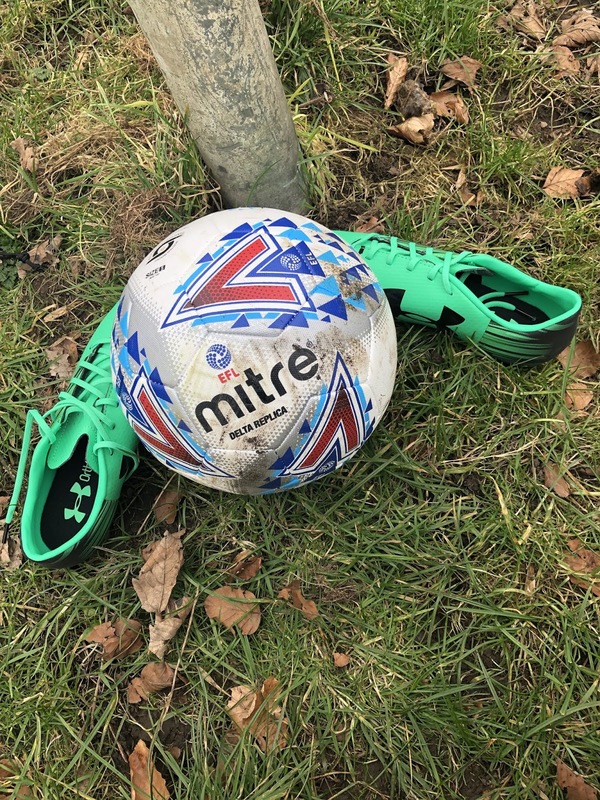 One of the biggest factors in any boots is the breaking in period, you don't want to absolutely destroy your feet whilst training and you definitely don't want to be playing in boots that are uncomfortable or that are going to negatively effect your performance. Therefore comfort and the breaking in period are key. That is why I was really impressed with these, with me never trying Under Armour boots before I really didn't now what to expect, when I put them on and they fit perfectly and didn't actually rub I was quite amazed as my last few Nike's actually took a short breaking in period and they cost a lot more than these. These haven't even rubbed me once, which is amazing to say I have only been wearing a thin pair of Sondico socks whilst wearing these, normally I would have thicker socks on by the likes of Nike. 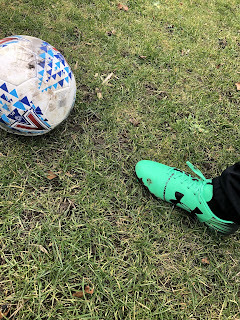 I actually went up half a size in these and they fit perfect so I would definitely recommend looking into different sizes if you were to buy a new pair of boots, I have always noticed that my best fitting ones have always been half a size or a size bigger than normal, this is just down to factoring the width and thicker socks you wear when playing, they are definitely a snug fit but that is how I like them I don't want my feet sliding around in them as that is where injuries come from. The insole in these surprised me too as I thought it would just be cheap but it is actually pretty thick which gives you the perfect cushioning, I don't want boots where I can feel the ground or the studs I want comfort which is exactly what these provide they just feel great when on feet. As I touched on previously I thought these would definitely have been heavier with the low price tag but Under Armour have done brilliantly providing a light weight model on a budget. 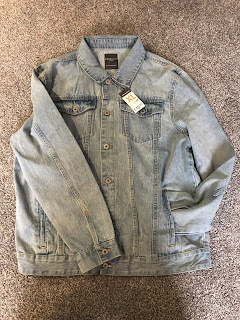 I did notice that the upper began to crease a bit after some time running and shooting but honestly it is nothing that is going to effect the comfort all this will effect is the overall look but the creases were to be expected with the simple upper. As a striker/ winger I want to get a good connection on the ball every time and sometimes laces can really effect this aspect of the game. However these laces fit perfect into the upper and don't stick out creating and unnecessary texture like in some boots in fact at points you forget they are there. even when fastened I just took the knot and excess lace into the boot and it works as everything is nicely hidden and you don't feel the knot against your foot. 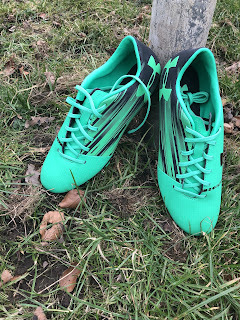 The laces are also a decent length so when you do took them in there isn't much on either side of your foot or on the underneath your feet, which is brilliant as you don't have to worry about them rubbing or causing discomfort. Plus if they do come out you don't have to worry about tripping over them. 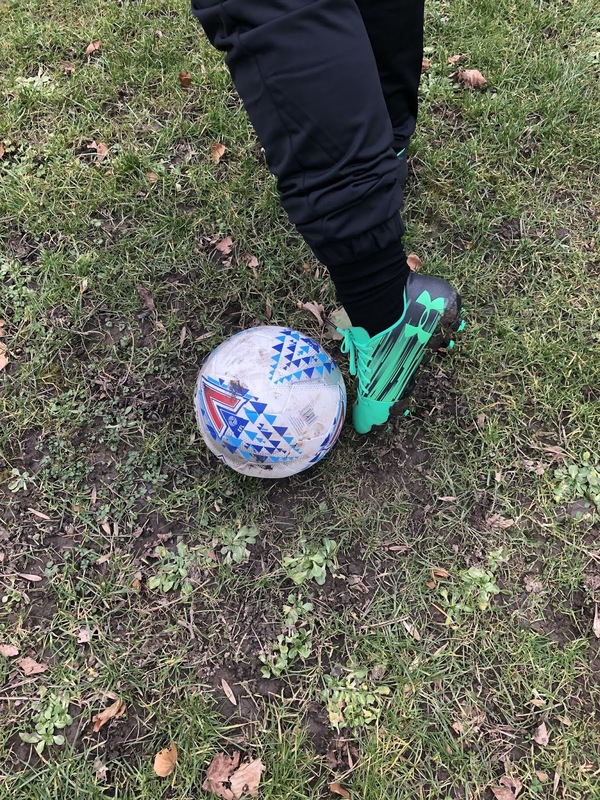 These boots have a natural touch on the ball and you can create good control with them you don't have to worry about the ball sliding straight off as the matte effect helps with keeping the ball where it should be even in wet conditions. As for the strike on the ball it actually felt nice and clean even after all the years not playing. You don't want the ball to hurt when you strike it and these provide the ultimate protection against this no matter how hard I hit it, there was no pain at all. I managed to pick these up for just £18 where the box stated they had originally been £59.99 as I said before I don't know the date these were released however, they were definitely a clear out model as you can no longer find them. I would be surprised if these had started off life at £59.99 as for the quality I experienced I would have thought they were around the £100.00 mark. I definitely got a bargain at £18 but I think I would have picked these up for the £59.99 mark as even though they are a basic quality (lower model) they aren't flimsy at all they are durable and I can see them lasting me a long time. I was definitely very lucky in finding this deal and who knows I may be able to find more deals like this in the future but I don't think I could get lucky like this again. This is definitely a brand you can expect to see plenty from on the blog in the future as I was so impressed with these boots, I will definitely be trying more over time. If you have any other boots or football related things you would like to see on here just leave a comment or drop me a message on twitter and I will see what I can do.